It’s the little things that often make the biggest statement! 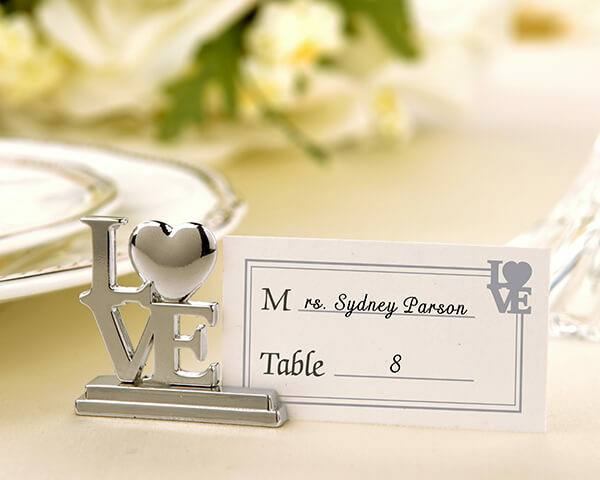 Share your LOVE with these meaningful silver love place card holders favours that your guests will love using as photo holders at home! Includes matching place cards for you to write your guest names on.